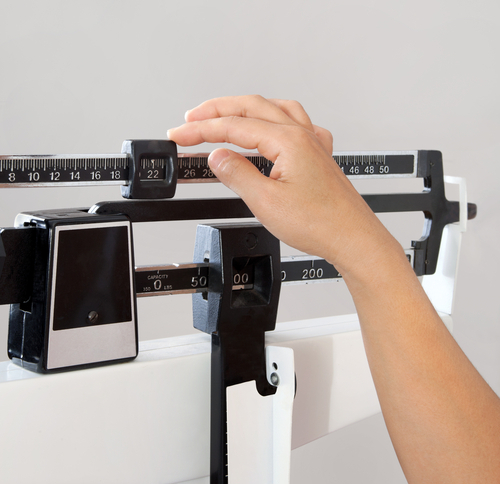 Within 12 weeks of starting treatment with low-dose aripiprazole, olanzapine, or risperidone, youth with disruptive behavioral disorders experienced significant increases in total body fat, according to a study published today in JAMA Psychiatry. The study also found that youth treated with these second-generation antipsychotics (SGAs) experienced decreases in insulin sensitivity over the 12-week period. The findings point to the importance of continued monitoring for metabolic abnormalities when treating youth with antipsychotics. The authors used dual X-ray absorptiometry (DXA) and magnetic resonance imaging (MRI) scans to assess changes in total body fat and abdominal fat over the course of the trial. At baseline and 12 weeks, the youth also received an insulin sensitivity test and answered questions about their symptoms. Although the youth experienced clinically and statistically significant improvements in irritability, aggression, and overall symptoms over the course of the study, the mean DXA percentage total body fat of the youth increased significantly during 12 weeks for all study treatments—1.66% for aripiprazole, 4.12% for olanzapine, and 1.18% for risperidone. Abdominal fat measured by MRI also “increased significantly in visceral and subcutaneous compartments, … [with] greater subcutaneous mean fat increase with olanzapine compared with risperidone and aripiprazole,” Nicol and colleagues wrote. The researchers also found insulin sensitivity decreased significantly from baseline in the pooled study sample. “These findings confirm previous reports … which showed rapid-onset obesity and glucose dysregulation in children using SGA medications, as well as the greatest weight gain and adverse changes in glucose metabolism in those treated with olanzapine,” Marc De Hert, M.D., Ph.D., and Johan Detraux, M.Psy., of Katholieke Universiteit Leuven in Belgium wrote in an accompanying editorial. They emphasized the importance of routine weight, glucose, and lipid monitoring when prescribing antipsychotics to youth. “Although no SGA regimen is absolutely free from metabolic consequences, preference should be given to an SGA drug with a low to moderate metabolic risk (thus avoiding olanzapine), and clinicians should aim for the shortest necessary treatment duration in the case of off-label use,” De Hert and Detraux concluded.